Soft to the touch and alluring with a distinctive high-low texture, this chenille area rug lends the perfect accent to bedrooms. This charming layer boasts classic Greek key motifs in calming shades of cream and pale blue. 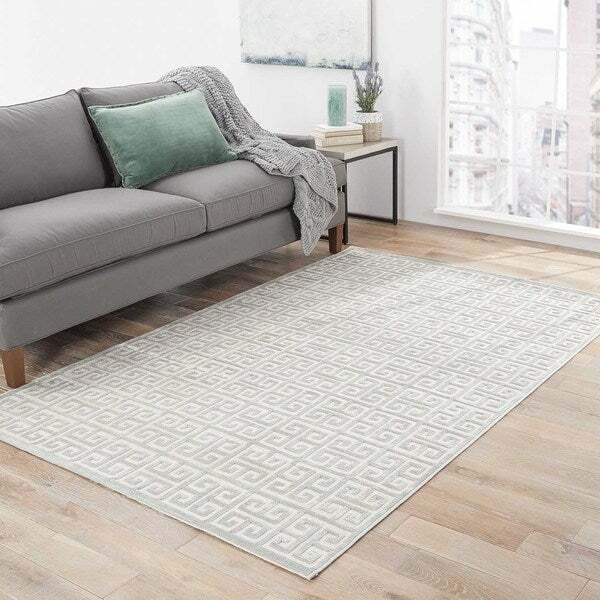 Linnea Medium Grey Greek Key Area Rug - 5'3" x 7'3"